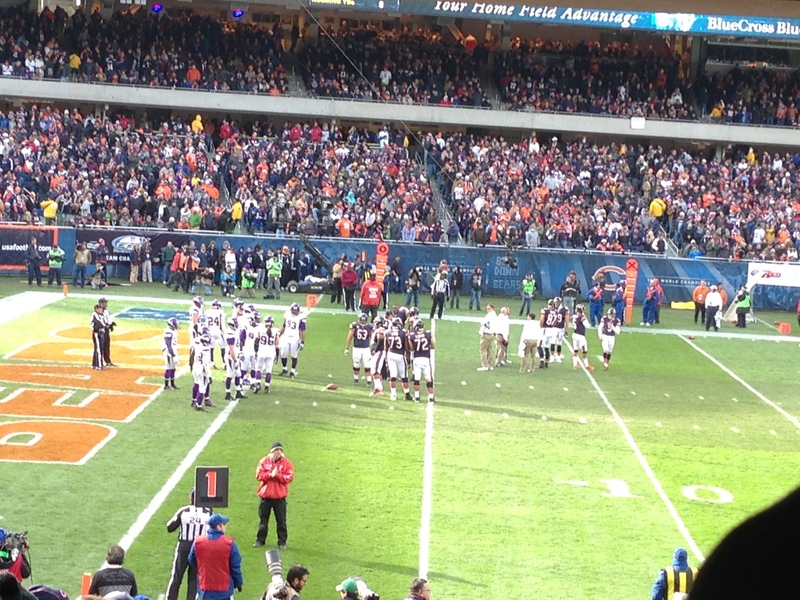 Sunday Rob and I went to our first Bears game! I got us tickets as a part of Rob’s birthday present. I like to get Rob presents that are something he wants and something we do. I think it’s fun to make memories, especially new events like this. 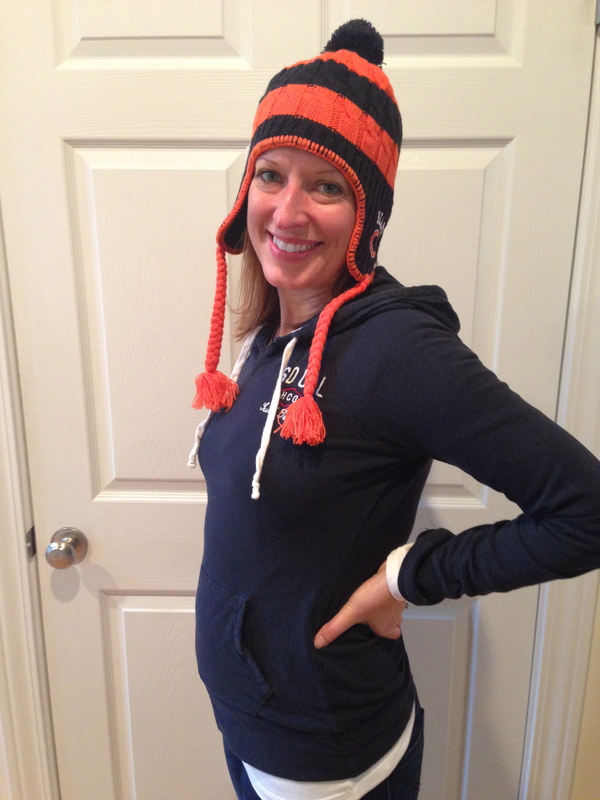 Me in my Bears hat with baby bump, ready to go! We had seats in Section 113, Row 18, Seats 1 and 2. I got tickets on an aisle on purpose since I pregnant and need to get up to go to the bathroom a 100 times an hour. 🙂 The seats were covered by the seats above, which would have been good had it been raining. We had perfect weather though. It was upper 30s, sunny with a light breeze. 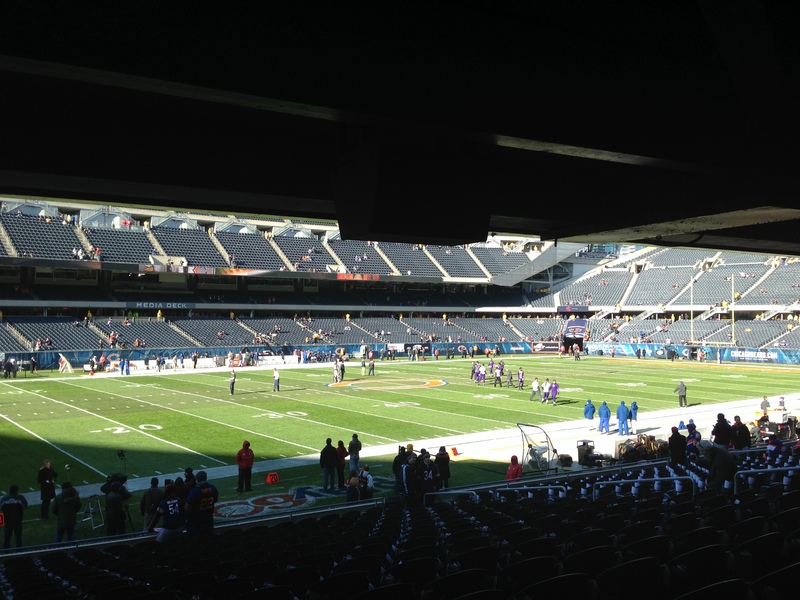 Plus being row 18 allows us to have two TVs to view the broadcast and in stadium cameras. Us in our seats. Game day they gave out Bears scarves. Nice! 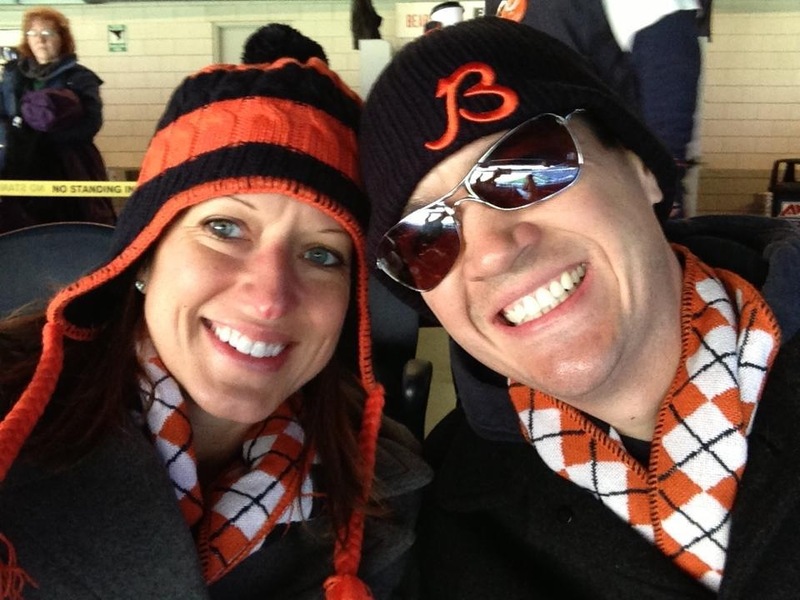 Have you ever done the Soldier Field 10 Mile race over Memorial Day weekend? It’s a good one, and you finish on the 50 yard line. AWE, it looks like you guys had such a great time and you look great. Glowing!